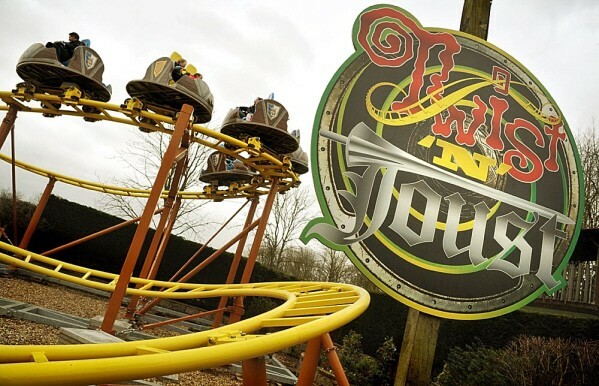 Often the best cheap ticket options for this attraction are available directly through Gulliver’s Theme Park including a range of promo codes that run through the season. It’s always worth having a look at what is currently available to see the latest deals & discounts. Simply click the ‘Special Offers’ tab that is visible once you have selected the park of your choice with special offers that range from promo codes, food bank weekends & family ticket offers. Follow our Gulliver’s Theme Park Guide packed with money saving ideas to help you enjoy the best from your day out! Look out for Gulliver’s Foodbank Weekend that runs during the theme park season that offers discounted entry when you donate to local foodbanks. When running, this offers cheap tickets to all 3 parks when you bring along an item of non-perishable food. Whilst this offer is not currently available, we’ll bring you more details as they come in. Another deal to consider is the special adult & toddler discounted rate that runs during off-peak dates during the season. Gulliver’s Theme Park offers adult entry for around £10pp and FREE entry for toddlers, (children under 5 years). There must be at least 5 paying adults per group to take advantage of this offer so worth clubbing together with friends & family. LOOK OUT FOR OUR Gulliver’s Theme Park Guide packed with top tips to help you make the most from your visit! Gulliver’s tend to advertise their come back ticket offers directly to guests already in the park and offers can vary during the season. If you are looking for a cheap return visit, look out out for posters around the park advertising any current come back ticket offers or ask at the gate for further details. Why not try to combine a late entrance ticket with potential come back ticket offers running at the park for double deals! Did you know that Gulliver’s Theme Parks run a reduced priced entrance ticket from 3pm each day? For those looking for a later trip to the park, this discounted ticket is priced at around £9.95pp and can offer substantial savings off standard price tickets particularly during peak summer season. 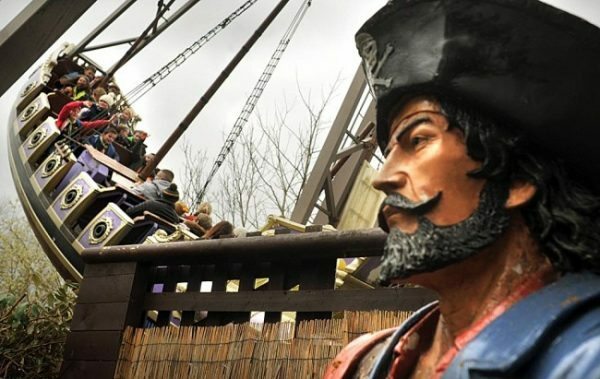 Gulliver’s Theme Parks have teamed up with a range of larger employers around the UK to offer discounted entry during the season. If you work for a large company, it can be worth checking to see if there are cheap tickets options available to you & the family. Follow our Tried & Tested Review of Gulliver’s Theme Park including money saving tips & ideas. If you plan to visit Gulliver’s a number of times during the year then it’s worth considering a season pass. The Gully’s Gold Passport offers entry to all 3 Theme Parks, both Splash Zones, a Christmas Smasher visit plus discounted entry to Gulliver’s Nerf Zones too. The great advantage with this passport is that they now are valid for a full twelve months from your purchase date, (remember the park has seasonal opening times). Worth noting that your passport offers unlimited pre-booked entry to both Splash Zone located within the Warrington & Milton Keynes sites, (Warrington Splash Zone currently closed). Gulliver’s run an attractive £10pp group rate that is valid on select days during the season that is open to schools and organized groups. For double deals you can pick up 1 FREE teacher place with every 8 children booked under the group rate too. Extend your visit with time at Gulliver’s Splash Zone that can be added to your theme park trip or works as a stand alone attraction, (available at Warrrington & Milton Keynes sites). With no standing water but plenty of interactive water features & slides, this is great fun for all the family. You can now pick up an Armed Forces discount at all 3 theme parks. Simply book online using the concessionary rate, (valid for up to 2 people) and then present your MOD90 card at the ticket booths on the day of your visit. Remember you will need to have at least 1 child in your party to gain entry. Gulliver’s Theme Parks often release a limited number of reduced priced tickets for specific dates at short notice. Tickets must be purchased in advance, using a given Promo Code, to secure entrance at this discounted price but beware these tickets tend to sell out quickly! Whilst we’ll keep you up to date as & when these offers arise you can also go directly to Gulliver’s Tickets, simply select the theme park of your choice & then check out the ‘special offers’ tab. You can now extend your stay at the on-site Gulliver’s Theme Park Hotel located within Gulliver’s World. Accommodation includes access to the Splash Zone & family rooms come complete with a separate children’s den sleeping area that you can all enjoy. Lovely to see that the hotel also has rooms that can accommodate 6 people plus a cot that works well for larger families. This entry was posted on Thursday, March 1st, 2018 at 10:37 am	and is filed under . You can follow any responses to this entry through the RSS 2.0 feed. You can leave a response, or trackback from your own site. It clearly says £9 tickets for May but I cant seem to purchase them at that price?? Hi, unfortunately this Gulliver’s Theme Park promotion has now ended as it ran during the weekend of the 7 & 8 May 2016, (food bank weekend). Would love to win a family ticket for Warrington please and thank you! Milton Keynes would be fab. Fingers crossed!! Hi! I’d love to win tickets to Guillvers at Matlock Bath please! Would love to be able to take the kids to the one in Warrington. Hi, I would Really love to win tickets to milton Keynes for my family. We have never been. Warrington please as we live in Cumbria so this is the closest- never been before and would love to go there with the kids and hubby. Thanks for the chance. We’ve been before – amazing! I’d like tickets to Matlock Bath please! Wow! This place looks amazing. My 2 children and husband! would really love it here. I can’t believe I’d never even heard of it before. We would love a day out at Gullivers world Warrington what a treat this would be after a miserable & wet bank holiday weekend. My girls Charlotte aged 9 and Isabelle aged 8 ADORED Gullivers World the last time we went. Fingers crossed I can win tickets for them – Warrington is our closest park! We would love to visit Warrington. My son loves your theme parks he says it’s great as he can go on any ride he wants! Warrington please, not been since I was a kid – my boys would love it! We as a family would love to win a day out at this fabulous attraction I’ve heard off friends what a great and fun filled place it is? I would love to go to Gulliversland Milton Keynes please ? I would love to win my kids would love it. 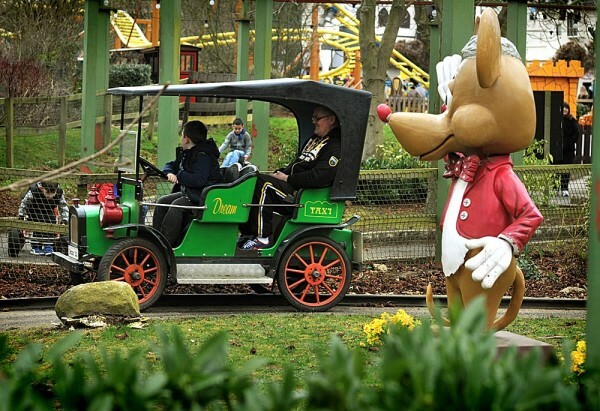 I would love to take my children to Gullivers Theme Park Matlock Bath. They are 5 and 7 and they would have a ball. I would love to take my lovely nieces to the Gullivers in Milton Keynes, as we have never been before and we’ve heard it’s great ! My 3 boys would love to visit the Warrington Gullivers world. Please enter us into the draw. Matlock bath my little one really wants to go!! Matlock Bath please! Beautiful part of the country! Fantastic prize to win, both kids and adults will have an amazing fun-filled day! Would love tickets to the Warrington theme park please – great giveaway! Would love to win tickets to the Milton Keynes Gulliver’s theme park as my daughter Georgie loves dinosaurs. Would like to visit the Gullivers in Milton Keynes as my kids have never been before and the last time I went was when I was a child. Grandkids visiting from South Africa soon… Would love to take them to Milton Keynes! ? They would LOVE it! Would love to take the kids to Milton Keynes one. Love going to Gullivers World Warrington, last time I took my son he was 3 and we went to see a fantastic Santa Clause who looked great and really brightened up my son and god daughters day. My son would love it even more now that he is 7. Hopefully he’ll be a lot braver this time round. Matlock bath would be perfect I went probably 35 yrs ago! My daughter is 9 and never been I would love to take her. My family absolutely love Gullivers. A fantastic family friendly theme park. If we are lucky enough to be chosen, we would choose to go to Matlock Bath. The view from the top of the park is awesome. My son has the map in his school bag and loves to look at all the rides, remembering everything we did last time we were able to visit. Hi Helen, yes a great view from the Top at Gulliver’s Matlock Bath, good luck! Fabulous days out. If I’m lucky enough to win Milton Keynes please. Thanks. 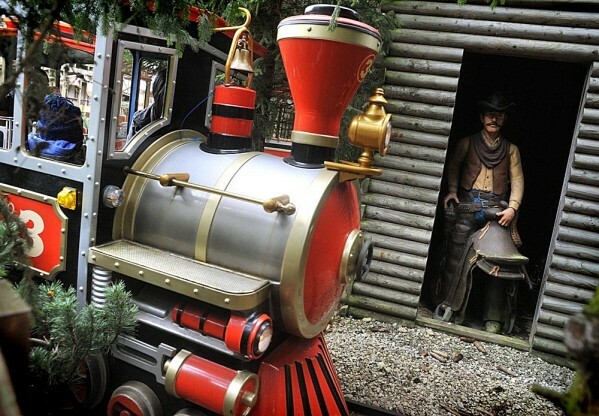 Have been to Gulliver’s World in Milton Keynes once before and would love to go again! My grandchildren enjoyed every moment and cant wait to go back again. Matlock Bath would be wonderful to go and visit relatives and take them. Thank you. My grandchildren absolutely LOVE Gulliver’s World at Warrington !!! If we are lucky enough to win we would love tickets for Warrington plz ??? Another good offer from TopDogDays and Gulliver’s Theme Park – thank you. Visiting this Sunday 23rd August, is the best price at the moment £15 per person, any 2 for 1 offers around? Hi, just wondering whether you were aware of any discounts being offered by Gulliver’s World this summer? Noticed you had mentioned a discounted family offer for July however I can’t seem to find it. Hi Karen, yes there was a discounted family offer for a select weekend in July which has unfortunately expired. Gulliver Theme Park tends to run a number of short term promotions throughout the year so do keep checking back as we will update this page as they come in. Alternatively check directly with Gulliver Theme Park & look out for the special offers tab. Hi Karen, just to let you know that Gulliver’s Theme Parks are now offering a £15pp summer ticket. This offer is available to those that can book online at least 2 days in advance of your theme park visit. Hi Lucy, whilst I’m not aware of any other current offers available for Gulliver’s Land other than those already listed, Gulliver’s do tend to run a number of quick short term promotions for those that can move fast to purchase tickets. Keep checking back for further offers as we’ll update this page as more deals come in. Hi Brenda, Gulliver’s Theme Park tends to run a number of short promo code promotions throughout the season but unfortunately I cannot see any specific offers running on 4 June. The best prices tend to be online at Gulliver’s Theme Park for those that book at least 2 days in advance. Hi Liz.I am looking forward to take my four children to gulljvers Kingdom for a stay over. I got some promotional codes but they not working pls help me and send me valid ones. Hi Afshan, Gulliver’s Theme Park do run a number of promo codes through the year but often these are only valid for a limited time. Whilst we are not aware of any current promo codes for the hotel, keep checking back for further details. HI, I AM LOOKING TO VISIT ON SAT 4TH APRIL. I HAVE GOT 6 ADULTS AND 3 CHILDREN IN THE PARTY WHAT DISCOUNT CAN YOU OFFER ME? Hi Rebecca, whilst Topdogdays is independant of Gulliver Theme Park, (we simply let you know the deals & discount), so unfortunately we cannot offer individual discounts:( I understand that the 4 April is part of the Easter Egg hunt weekend at Gullivers so worth keeping an eye out for any approaching offers. Keep checking back for any further offers. Just wondering if you offer forces discount at all? Hi Katie, we are independent of Gulliver’s Theme Park so it might be worth querying this directly with them. I do know that Gulliver’s Theme Park have run Armed Forces Weekends in the past so that might be something to look out for too. Please could you inform me of all your special offers both theme park and splash zone. Hi Kelly, whilst we are independent from Gulliver’s Theme Park, we do strive to put all the up to date offers for Gulliver’s Theme Park on this page. Gulliver’s Theme Park & Splashzone tend to run a number of short term offers that they promote through their social media channels. Their most recent/current promotion is their £5 ticket offer for Gulliver’s Dinosaur & Farm Park, (Milton Keynes). Hi we’re looking to use the promotional code for Gulliver’s Theme Park, can I use it at the Milton Keynes site? Yes, you can use this promotional code all three Gullier’s Theme Parks…simply use the promo code TDFL01 when booking online. This code is valid for all Inclusive tickets at all three Gulliver’s Theme Parks offering a £5 discount per person. Hi Lianne, Gulliver’s Theme Park often release information about discounted ticket offers through their facebook page. These deals tend to come & go quite quickly so worth keeping a close eye; currently they are running a £5 Splashzone Offer for each Friday in August that must be booked by 4 August. Alternatively, you could try the late entry ticket or check out any online deals available at Gulliver’s Theme Park. Follow our tried & tested review of Gulliver's Theme Park to check out our thoughts following a recent visit. 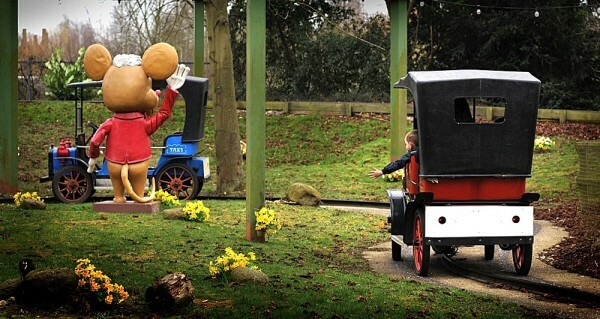 Top tips & money saving ideas to help you enjoy a day out at Gulliver's Theme Park. Follow our guide to Gulliver's Splash Zone including cheap ticket options. Follow our tried & tested guide to SFEAR, an indoor assault course located within Gulliver's Land. Follow our money saving ideas to help you enjoy days out for a FIVER or less!